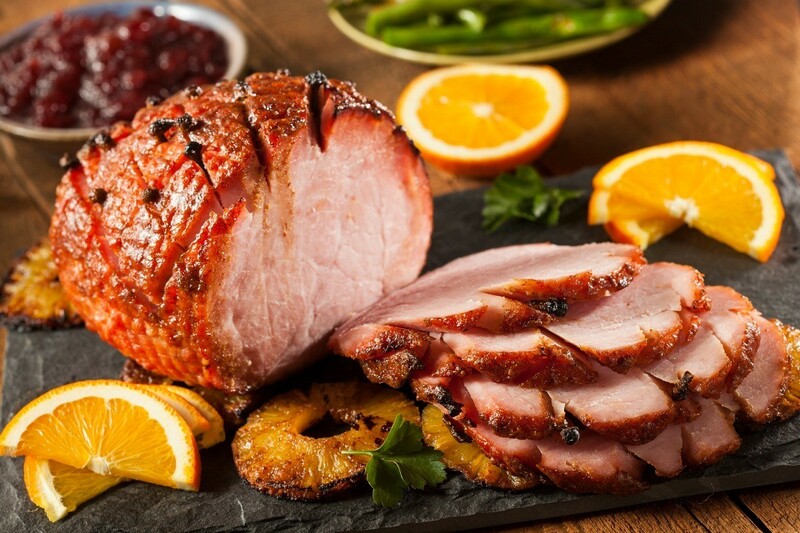 Honey baked ham is a favorite holiday dinner for many and it's easy to make at home. 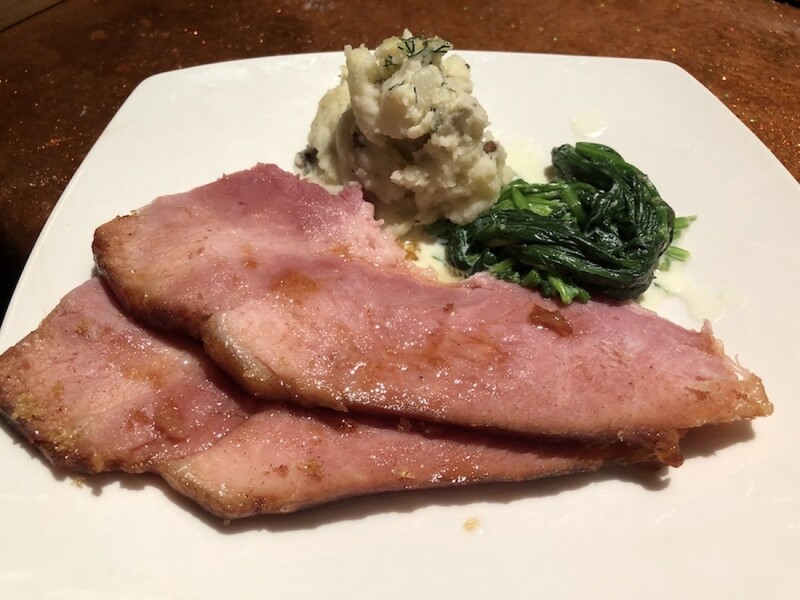 This guide contains recipes for honey baked ham. 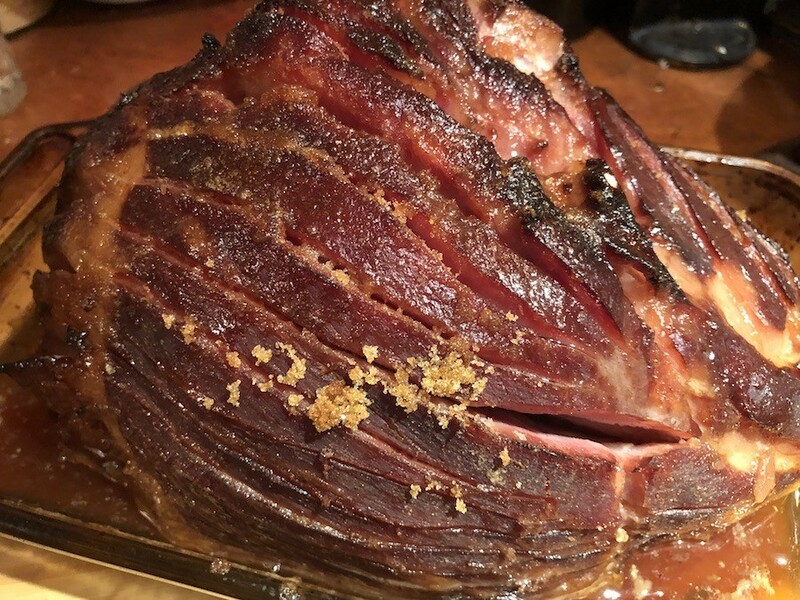 My family loves the official golden wrapped Honey Baked Ham that is very famous. Well, I just don't have a golden wrapped Honey Baked budget! 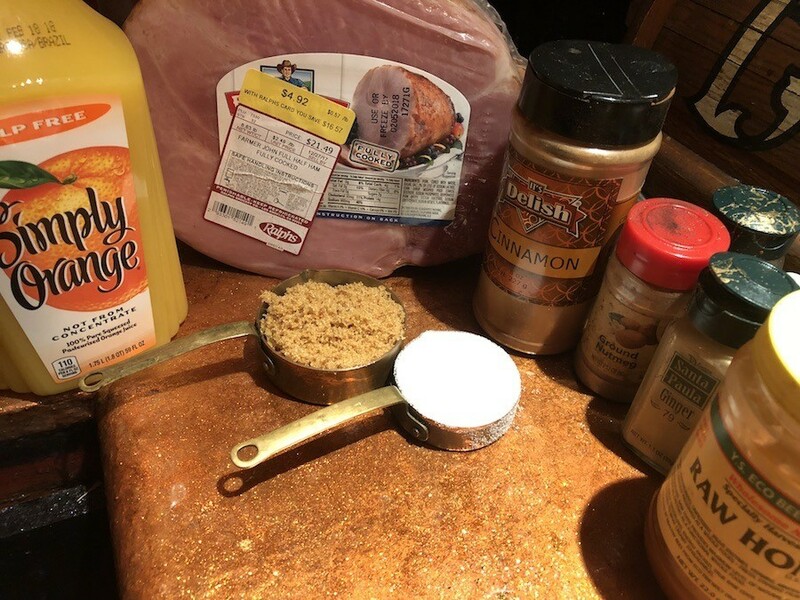 This year, I scored a huge ham for under $5 and honey'd it up myself. 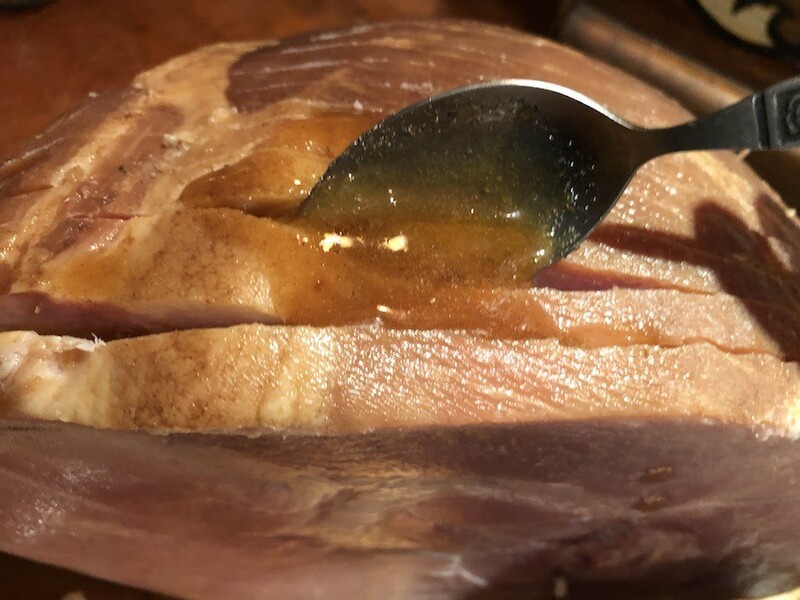 Here is how to turn a store bought cooked ham into a Honey Baked Ham. 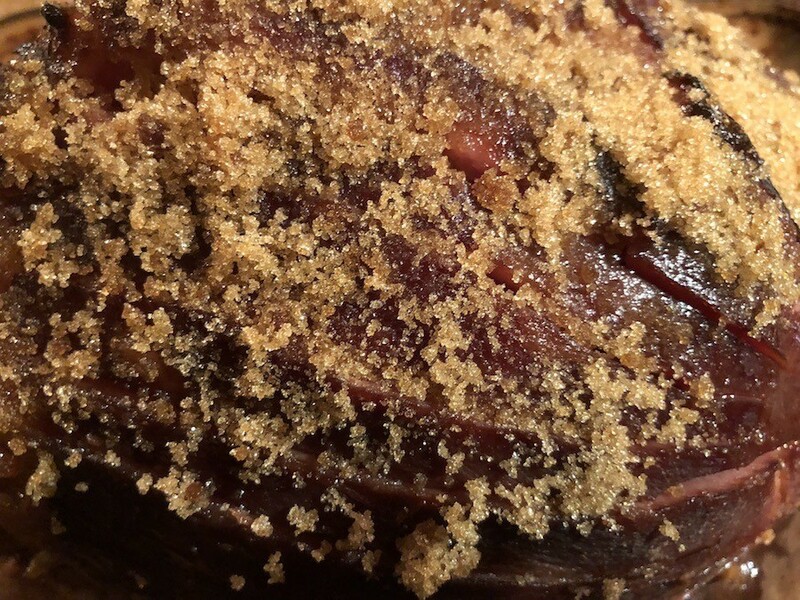 Preheat oven to 375 F. In a bowl, mix together all ingredients aside from the ham and 1/4 cup of the brown sugar. Use a very sharp knife to cut slices into the ham around the bone. 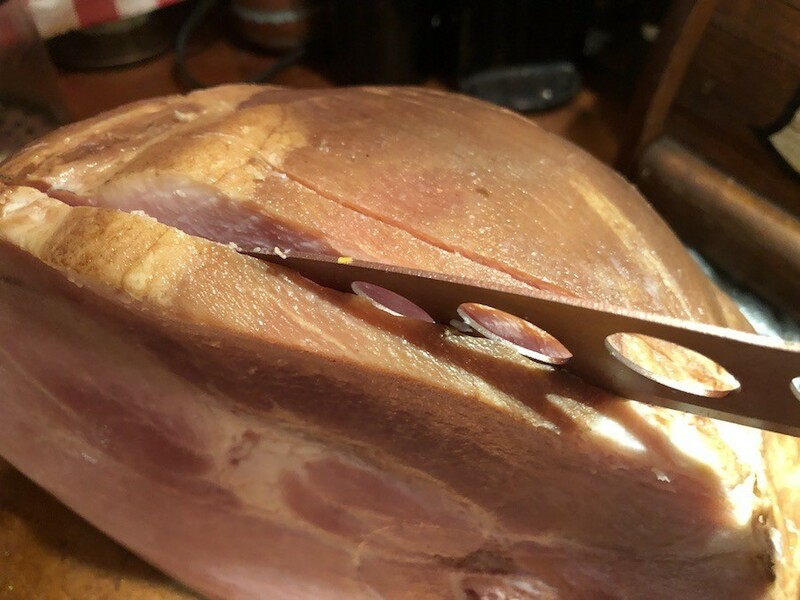 Do not cut all the way to the bone so the ham doesn't lose its shape. Spoon the wet mixture into the crevices and around the ham. 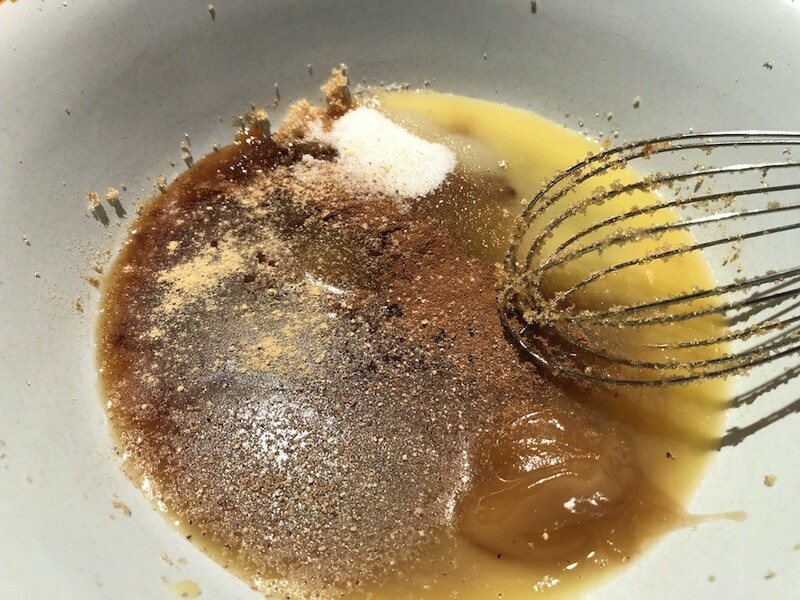 Press the remaining 1/4 cup of brown sugar around the ham. Bake ham for 15 minutes per pound basting often with juices. Internal temperature will be 140 F when it's done. I found this online a few years ago and have yet to make it but am hoping someone else can use it in light of the upcoming holidays!